John R. Dunki-Jacobs was born on April 19, 1922 in the former Dutch East Indies, now Indonesia. He received the B.S.E.E. degree from the Higher Technical College in Amsterdam, the Netherlands in 1948. He was first employed with the Standard Oil Company as a Powerhouse Supervisory Engineer in a refinery in Indonesia. In 1954 he joined the General Electric Company, in the Generator Engineering Department in Lynn, MA. He was transferred to Schenectady, NY in 1956 and began his career as an industrial power systems engineer by taking numerous intensive courses, including the Power Systems Analysis Course as an advanced study for electric utility engineers. In 1961, Mr. Dunki-Jacobs was in charge of engineering and design of the longest industrial submarine cables transmitting high-voltage power to an oil-gathering platform, located 27-miles off shore in the Persian Gulf, and, in 1969, of a 300-mile, 138-kV transmission system in the Sahara desert, interconnecting four generating stations and seven pump stations to serve a crude producing facility in Libya. In the early seventies, he guided the design of the 115-kV transmission system for the development of a vast crude-producing area in northern Saudi Arabia, which included a 34.5 kV submarine cable circuit to a crude-producing platform, 27 miles into the Persian Gulf. Further evidence of his primary engineering involvement and accomplishments can be found in Venezuela, Iran, and Indonesia as well as many locations throughout the United States. He initiated the development of the first industrial digital short-circuits program (1967), and pioneered the first endeavour into a digital computer program to select and set protective devices and interrupters for the protection of industrial systems (1969). Mr. Dunki-Jacobs has lectured extensively at professional meetings, seminars and courses, promoting effective industrial power system design practices by translating complex system performance phenomena into application engineering concepts as they relate to transient stability, reclosing, motor negative-sequence heating, arcing ground faults, system grounding, fault protection, and the entire range of analytical system studies. As new system study classifications, he originated the "system-audit study" and conceptual system design study. The latter formalized a qualitative method to correlate modern process reliability requirements with cost-effective system design attributes. Mr. Dunki-Jacobs has authored or coauthored seventeen technical papers and has received six IEEE Prize Paper Awards. For other national associations, he authored seven publications. He was a Life Fellow of the IEEE and the 1991 recipient of the IEEE Richard Harold Kaufmann Award. He received the IEEE Medal for Engineering Excellence in 1996. He also received five General Electric Management Awards. 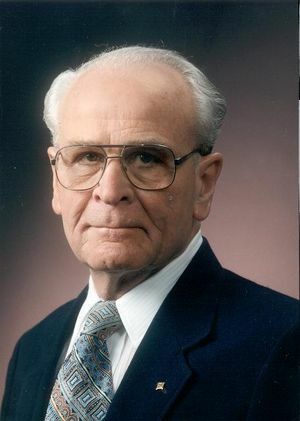 Upon his retirement in 1984, Mr. Dunki-Jacobs formed Industrial Power Systems, Inc. and continued his career as a consultant and lecturer until 1995. Dunki (as he was professionally known) and his wife, Louise, resided in Lynden, WA. They had three children, Robert. Winnie and Raymond.